In Matthew 28, we see Jesus Christ’s clear vision for the church, “To go into all the world and make disciples.” This is the mission that drives us, and if you’re reading this, odds are it drives you, too. That’s why we want to join you as you multiply the mission. If multiplying your church were easy, then everyone would be doing it. If planting a new church was just about finding a building and sticking a sign out front, then we would see fewer failed starts. If multisite wasn’t that complex, then we would see more success. The fact is, you and I can't do any of this by ourselves. That’s why we exist here at NewChurches.com. Our hope is to come alongside you and help you go from where you are to where you need to be. After all, don’t we all need to stop for directions once in a while? We’ve been where you’re at. We know your pains. We know your joys. We know your questions. And with our collective knowledge and experience, we can help you find your answers. Through our research and analysis of over 600 church planters, we’ve seen a significant value to having a mentor and a coach. Having a coach impacts your worship attendance because accountability leads to productivity. Planters who would meet regularly with a mentor led churches that were almost twice the size of those that had no mentor. Relationships make leaders; wise leaders will also create learning relationships. This is not easy for most church planters, who tend to be free spirits and perhaps mavericks. But the best church planters combine innovation with learning and become leaders under accountability." The reality is, many planters and pastors lack fellowship with their peers. Who do you share your ministry burdens with? And what about the challenges that you face in planting and multiplying? Nowhere else is there a place like NewChurches.com, where thought leaders in church multiplication like Ed Stetzer, Daniel Im, and the rest of the author community are here waiting to coach and mentor you. Not only will you have access to them, but you will also be a part of a unique community of leaders who are all passionate about church multiplication for the glory of God. Imagine having 24/7 access to the library of knowledge, wisdom, and insight from one church multiplication consultant. Now multiply that 20 fold and that’s what you get with Plus Membership. Instead of going to one consultant, what if you had access to dozens, for less than half an hour with a consultant? Plus Membership gives you exclusive resources, trusted insight, and access to church multiplication experts for less than a dollar a day. You will have access to thought leaders and get your questions answered. For every dollar you spend at NewChurches.com, you’ll earn 10% Cashback in New Churches Reward Points to use on our courses! Get 750 Reward Points with an annual subscription! That means, you'll have $75 to spend towards any course immediately. Earn 100 Reward Points ($10) to use on courses just for signing up! It's our gift to you. Q&A Webinars| Get your questions answered by the leading experts in church planting, multisite, and multiplication. We’ll give you access to ask your questions to these thought leaders. Ready-To-Use Resources| We’ll provide templates, tools, and systems to make your job easier, free your time up, and assist you in the mission of multiplication. Office Hours| Get personalized answers to your questions from Ed Stetzer, Daniel Im, and others from our author community. Have 24/7 access to a library of answers. Video Enhanced Training| Get practical video enhanced training on leadership, ministry systems, residencies, multiplication, and so on. Behind-The-Scenes Content| We’ll take you on a tour to learn what’s going on behind-the-scenes from innovative churches across the world. Exclusive Facebook Community| We’ll connect you with other church planters and multipliers so that you can learn together, have meet-ups, and be an encouragement to one another. Priority Access| Whenever we have events, you will be the first to know about it, and get priority access. You will also get discounts and swag. "Where conferences just tend to whet my appetite, being a Plus Member goes further by providing access to people and resources that make a real difference in my ministry and equip me to be a better pastor." "Plus Membership provides access to a boatload of high quality content at a minimal cost. The return on investment makes Plus Membership a no-brainer for me." "NewChurches.com has become the leading resource for church planters and leaders looking to advance the mission of the church in any context. As a lead pastor and local church planting leader, the timely training tools and ready to use resources have been a key instrument in the development of our vision and church." "In setting out to plant Selah Church, I, like any other church planter, had big dreams, and much need. What do you get when you combine a church planter/pastor’s need for community, encouragement, knowledge, and coaching, with a seemingly boundless pool of wisdom filled-resources, experienced mentors, and friends to walk the journey with? You get NewChurches.com. If you are considering, in the midst of, or already planting a church, or even currently pastoring or re-visioning one, then the NewChurches community is something you need to get connected to. The books, podcasts, online community, and people that are available for my help have been a blessing of God’s grace. I am thankful to God that I found this online hub of help." "NewChurches.com is an incredible website with an immense wealth of knowledge to learn from. I didn't think it could get any better until I became a Plus Member. Becoming a Plus Member not only gives you access to more teachings and resources, but allows you to connect with literally hundreds of church planters, across North America and around the globe, who are struggling or have struggled through the same things you are going through. It also provides opportunities to learn through different videos, training sessions, and interviews with current leaders in the church who are not disconnected but who are practitioners. NewChurches.com Plus Membership has been one of the best resources for myself as I go about planting a church. Thanks so much for what you guys are doing!" "I absolutely love NewChurches.com. Aside from the bevy of resources that are as practical as they come, I’ve really enjoyed the Plus Member privileges which include exclusive interviews and insights from some of the leading minds in church planting today. Having the opportunity to ask these folks questions has been such a tremendous gift." "Plus Membership is an essential part of my toolkit as a multiplication catalyst. Lot's of practical help for my church planters and those who support them." "Seriously, I’m benefitting from what you guys are doing at NewChurches.com. Thanks!! I handle all of our outreach efforts from church planting partnerships to community outreach to short-term missions, so I’m stretched thin sometimes. Having a resource like NewChurches.com is a help!" "NewChurches.com resources have become a staple at our weekly launch team meetings. The blogs, podcasts, and access to the private Facebook group have triggered new ideas and new ways of approaching things that we wouldn't have thought of otherwise! Other information has completely confirmed the direction we already felt God telling us to go. The NewChurches.com Plus Membership has given us access to a great community where people aren't afraid to ask questions and are more than willing to help each other out. It's a great community, and we are so glad to be a part of it!" How do I download the State of Church Planting in the U.S. and Canada Research Reports? Become a Free member and we will deliver it directly to your inbox. Why should I sign up for a Plus Membership? No where else will you find such a global community so dedicated to church multiplication that you will get at least six new pieces of content every week. In addition to that, we will have thought leaders and practitioners ready to answer any question that you might have on a weekly basis. Why is the annual option for Plus Membership the most preferred? Because it's the best value. Not only do you get two months access for free, but with the 750 bonus Reward Points that you get with the annual option, you will get $75 to spend towards any course immediately. In addition, as a Plus Member, you also get a 25% discount on every course, so you can see why the annual option is definitely the most preferred. What happens after I purchase Plus membership? If you are already a free member, you will be prompted to login. Upon logging in, you will then be directed to a product page where you can purchase Plus Membership. If you are not yet a free member, once you create an account, you will then be directed over to the product page where you can purchase Plus Membership. How often is new content added to the site? Several times a week. Specifically, new blog posts are added three times a week, podcasts are uploaded twice a week, Plus Member office hours happens every week, and Plus Member content is added at least once a week. Why are courses available a-la-cart when the rest of the site is included in Plus membership? It’s because we develop our courses in partnership with other organizations to deliver high quality content specific to your needs and ministry. They are filmed in HD, edited professionally, and delivered like a seminary course. If this is a ministry, why is there a monthly fee? NewChurches.com, like our parent organization LifeWay Christian Resources, is a non-profit organization that donates all proceeds above operating costs to outside ministry ventures and missions, such as supporting new churches. Unlike many non-profits, we do not petition donations or raise money, and instead rely on membership fees to provide you with the highest quality resources and content possible. Can I cancel anytime? We would hate to see you go, but if you need to cancel your membership, all you need to do is click the Cancel Membership link on your Account page. When you cancel, you will be able to continue to enjoy the benefits of Plus Membership until your account automatically closes at the end of your current billing period. You will not be charged at the start of your next billing cycle. What if I don't want to create a PayPal Account? PayPal is very secure and it's easy to create an account. However, if you still do not want to create a PayPal account to purchase Plus Membership, then we have a manual way for you to purchase, but it's only at the annual rate of $348. Once you purchase this product, we will manually set up your subscription within one business day. Contact daniel@newchurches.com for more information. Here’s our promise. Purchase today risk-free because Plus Membership comes with a full 30 day 100% Money Back Guarantee. If for any reason you don’t benefit from being a part of NewChurches.com, then we insist that you get 100% of your money back. It’s simple: Join the community and see for yourself. 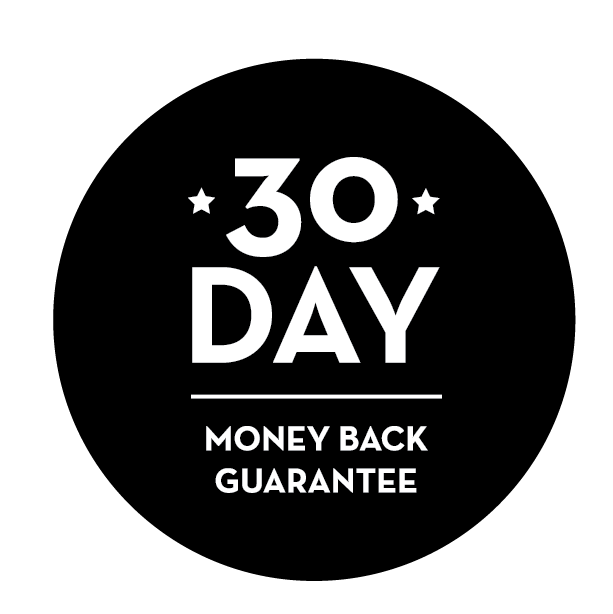 If the exclusive content, office hours, behind-the-scenes segments, downloadables, and webinars don’t help you in your ministry, within 30 days, then I’ll refund you 100%. Just send me an email at daniel@newchurches.com, tell us why you were unsatisfied (so we can improve! ), and we will promptly refund your money.